This is a 15" drum lamp I designed and made this spring. 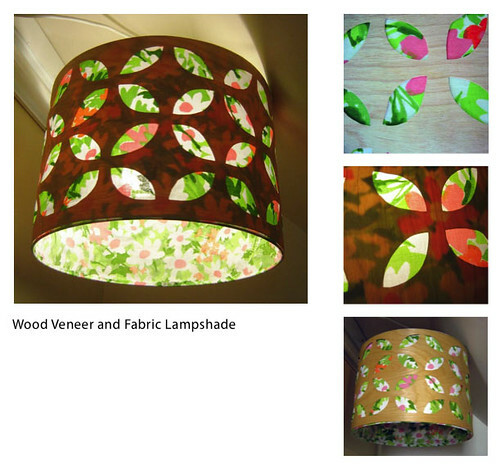 It's a combination of wood veneer and vintage fabric. It was difficult to cut the wood shapes by hand, but I'm truly happy with how it turned out! Lately I've been trying to get my bookmarks in order (folders are my friends). It's been so messy in there that it's been quite a while since I've seen some of those links. Here's a grouping of photos/photographers that tickle my imagination. And I'm not sure, but it's very likely that nearly all of these are from swiss-miss.